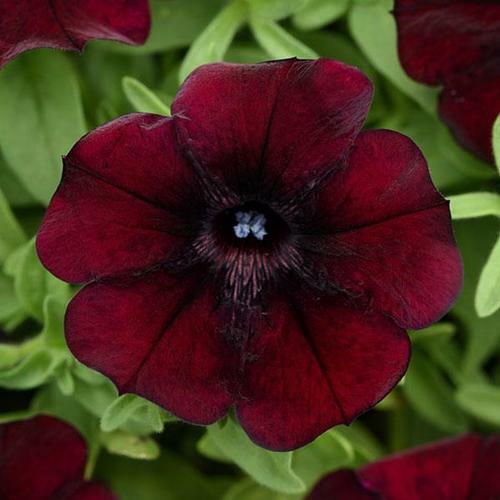 There's been an ongoing debate over black petunias here at RCG, either you love them or you hate them. Those of us who love them are edging a bit closer with this one. A deep "red wine" with black veining. Perfect addition to that "Goth" themed container you were planning. Take those millennials back to their youth.